This week's fingerplay rhyme is called "The Beehive"
This rhyme is great because it can work on multiple age levels. For babies, the caregiver demonstrates the unfolding of the fingers and ends the rhyme with a tickle of the baby! This is a wonderful chance for sharing language and strengthening the bond between caregiver and child. For toddlers, there is an opportunity to practice unfolding the fingers. The ability to coordinate the muscles in the fingers is called fine motor skills. This is important for toddlers to practice because it will help them to better grasp a crayon or pencil once they begin to doodle (the precursor for later writing success). For preschoolers, there is a chance to explore the concepts of counting and number. When they unfold their fingers and say "1, 2, 3-4-5" they are practicing their ability to count in sequence. They are also beginning to make a one-to-one correspondence between the abstract idea of number and their concrete fingers. These higher level ideas are critical for later school success in math. 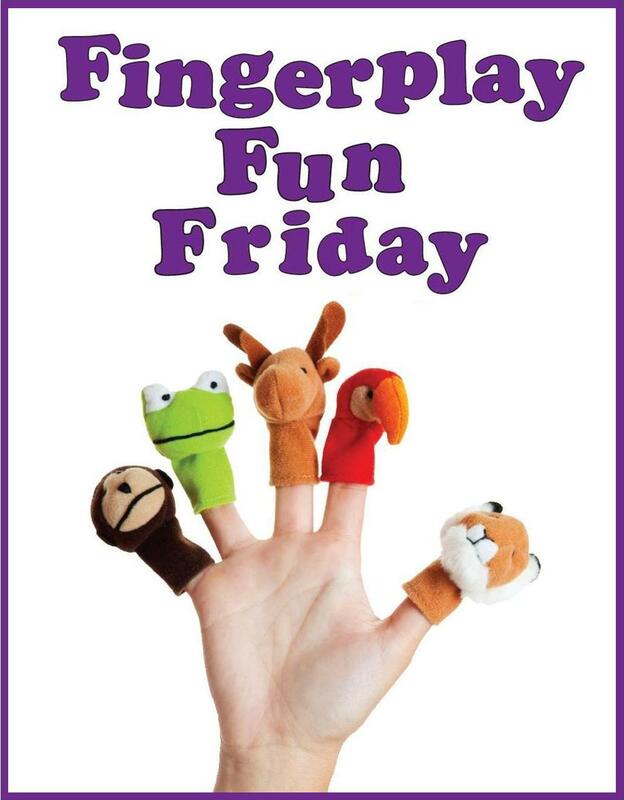 If you haven't already stopped by your local Washington County library and received your free copy of our Fingerplay Fun rhyme booklet, we encourage you to do so!